An automatic blood pressure cuff differs from a manual blood pressure cuff fundamentally because it inflates and deflates automatically helping improve accuracy when taking blood pressure. Automatic cuff inflation and deflation eliminates the need to predetermine inflation level setting. 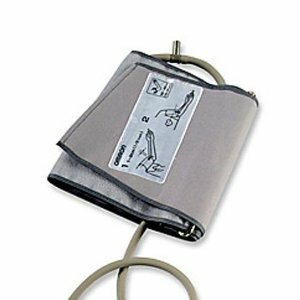 Most home blood pressure monitors available on the market today come with automatic cuffs for most leading and best blood pressure monitors such as those manufactured by Omron, Relion, Samsung and Lifesource amongst other reputable brands. This page offers an independent review and ratings of selected top of the range automatic cuffs. Blood pressure cuffs are extremely important. Size does matter because generally when measuring blood pressure there is the problem professionals commonly call 'miscuffing'. Miscuffing leads to either elevated blood pressure numbers or severely deflated readings which misrepresent the actual situation. Selling for about US$30.00 on Amazon this Omron upper arm cuff is a specially designed cuff for over-sized arms size 13" to 17". It is sold separately as an accessory. The cuff fits all Omron automatic and manual digital blood pressure monitors with D-ring cuff. The D-ring cuff is designed for easy application and secure fit. This makes it possible to use cuffs purchased separately. 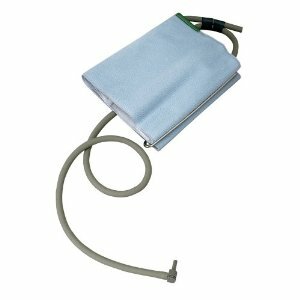 The cuff can be used with blood pressure monitors such as the Omron HEM-712C, HEM-711AC, HEM-712CLC and HEM-432C. In terms of customer reviews and ratings, users have highly rated the cuff noting that it works fine and is simple to operate only requiring a plug and play procedure which anyone can do quick and easy. The cuff has also pleased customers with over-sized arms by fitting well and giving accurate and reliable results. Buyers purchasing this cuff from Amazon noted quick delivery of product. We give this Omron automatic blood pressure cuff a rating of 4 stairs out of 5 based on agreggate use reviews and our own independent assessment. It is certainly a best buy considering it fits a wide range of Omron blood pressure monitors already out there on the market. However if your existing monitor is nit Omron and has no D-ring cuff this particular cuff might nit be ideal. Using it may give inaccurate blood pressure numbers. if your monitor is one like the HEM-711AC which reviewing buyers have had a positive experience with. Should you have any other monitor ensure that you get adequate information from your chosen supplier about compatibility issues before purchasing. this cuff is for adult users with large arms of circumference size 13" to 17" or 33 to 43cm. It is designed for use with particular Omron oscillometric digital blood pressure models. These models are particularly the HEM-432C, HEM-712C, HEM-712CLC, HEM-711AC, HEM-705CP and the BP710. Individuals preparing to purchase a cuff are encouraged to physically measure their own upper-arm circumference on the left arm using a cloth tape measure. The actual place of measurement is midway between your elbow and shoulder. 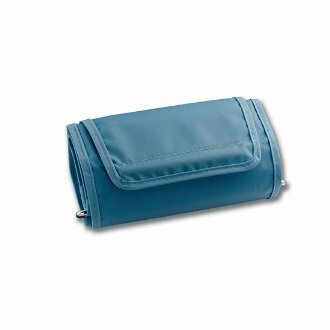 Before making a purchase ensure that the cuff fits on your automatic or manual blood pressure monitor. Some consumers have complained of misleading information in product description on some vendor websites leading to returns. By the way some vendors do not accept returns. Overall buyers have been satisfied with this cuff reporting that it worked perfectly fine for individuals with larger arm circumferences. We give this particular cuff a score of 4 out of 5 stairs. It is good buy when accompanied by due diligence. for only US$16.00 this cuff is specifically an accessory adult cuff for Lifesource blood pressure monitor users. It is designed for arm circumference size 9.4" to 14.2". The cuff is a durable nylon cuff with a strong Velcro hook and loop fastener. The manufacturer claims the cuff has been tested for up to 30000 uses before replacement can be considered. Consumer reviews have been positive concerning this particular cuff. Users note that this accessory cuff is a plug and play replacement and very easy and straightforward to use. It is praised for being durable and the cuff adjusting easily accompanied by clear instructions printed on the surface of the cuff. Due to the positive aggregate reviews and ratings received on this product and our own considerations we grant this product a rating of 4.5 out of 5 stairs. This is a recommended by for Lifesource blood pressure monitor users.